Birth date and place c. 1820 Allen, Kildare, Ireland. Physical Description Height: 5 ft. 8 ins. Complexion: fair. Eyes: blue. Hair: light. Spouse Anne Jane ? (tentative). Children Margaret Ann 1869, New Zealand (tentative). Ellen 1871, New Zealand (tentative). John James 1874, New Zealand (tentative). 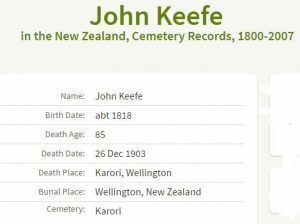 Death date and place 26 Dec 1903 Wellington, New Zealand (tentative) [1903/7513]. 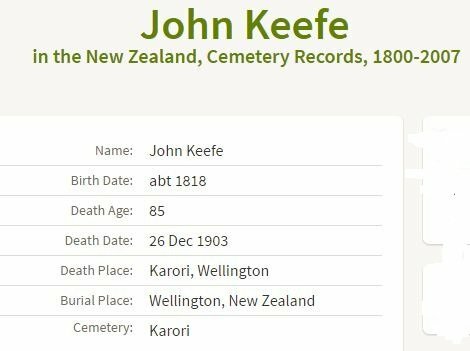 Burial date and place Dec 1903 Karori Cemetery, Wellington, New Zealand (tentative). Area 07. Block A. Row 01. Plot 035. 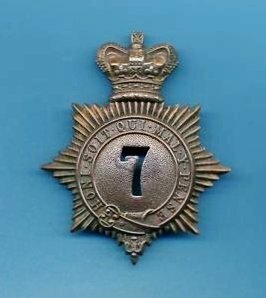 Regiment(s) 7th (Royal Fusiliers) Regiment. Regiment No. and Rank #1163 Private. 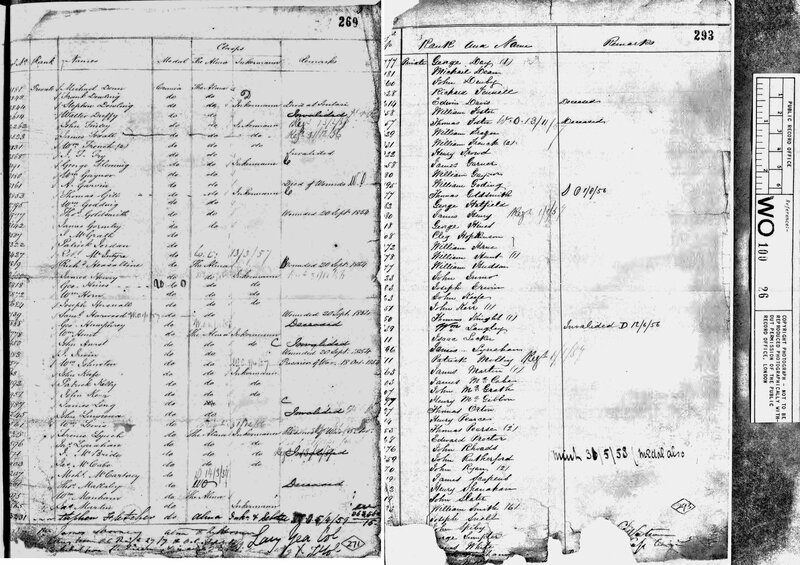 Attestation date and place 24 Apr 1838 Dublin, Dublin. West Indies 3 years 3 months. North America 2 years 2 months. Turkey & Crimea 2 years 2 months. East Indies 2 years 10 months. Note: original medals are held in the Army Museum of Western Australia, Artillery Barracks, Burt Street, Fremantle. Casualty/Medical Chronic Hepatitis. This man, nearly 21 years in the service, has been subject (since August 1859) to frequent attacks of intermittent fever and pain in the hepatic region. The liver is somewhat enlarged and the function of the bowels greatly deranged, and his constitution is much shaken. This man’s disability has originated by an individual predisposition accelerated by his long service and not increased by interperance. Unfit for further service as a consequence of Chronic Liver Disease and failing strength. Regimental Courts Martial 23 times entered in the Regimental Defaulters Book. Prisoner 16 Mar 1843 to 2 Apr 1843. Prisoner 9 Jul 1845 to 21 Jul 1845. Prisoner 21 Jul 1845 to 11 Feb 1846. Prisoner 13 May 1847 to 14 Nov 1847. District Courts Martial Deserted 6 May 1849. Rejoined 23 May 1849. Tried by a District Court Martial for Desertion on 14 Jun 1849. Convicted and Sentenced to 12 months imprisonment with hard labour and to be marked with the letter D.
Forfeited by Conviction of Desertion 9 years 321 days. Prisoner 23 May 1849 to 16 Nov 1849. 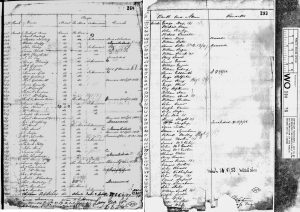 Prisoner 26 Dec 1850 to 28 Apr 1851. Former service restored per Authority dated Horseguards 11 Dec 1857 forfeited by Conviction of Desertion 9 years 321 days. Discharge date and place 16 Jul 1861 Chatham. Length of Service 21 years 74 days. 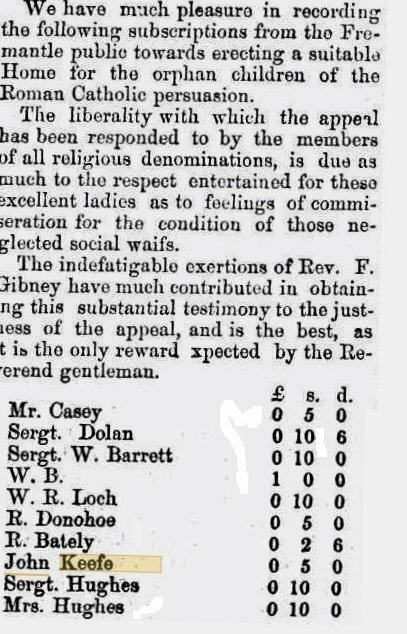 Post Discharge Pension District 1st Dublin 1861. Wellington, New Zealand 1897. Pension Amount 11d, per diem. Departure and Arrival 26 May 1865 Portland; 10 Aug 1865 Fremantle. 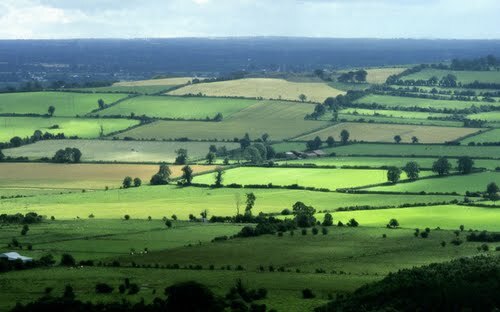 Land Grant/Purchase None in WA. Subscriptions Home for Orphaned Roman Catholic Children 1868. Misc. Newspaper Articles The Herald 1 Aug 1868. Departure from WA Left Western Australia after August 1868 for Wellington, New Zealand. 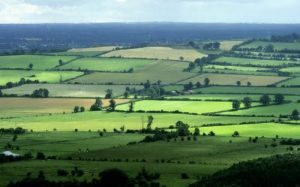 Allen, County Kildare, Ireland – the green, green grass of home for John Keefe.